Earlier this year, several BOA members took part in a day trip to English-Welsh border country. 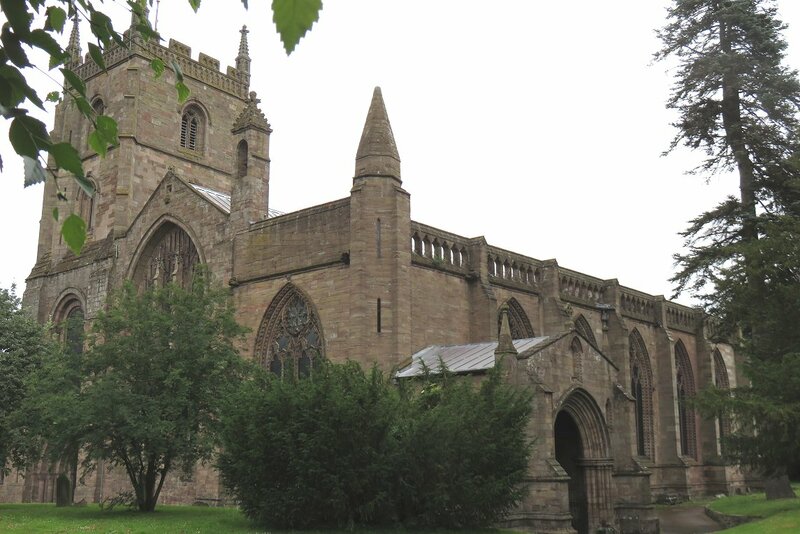 Our first venue was Leominster Priory in North Herefordshire, which houses a fine organ by Nicholson & Co that sounds most impressive in the building's generous acoustic. The Priory Church of St Peter & St Paul dates from the middle of the 12th century with later additions, but the reformation of 1539 led to partial destruction. It is a Grade I listed building and contains many interesting features, including the last ducking stool to be used in England, in 1813, when the culprit was a disorderly woman ! 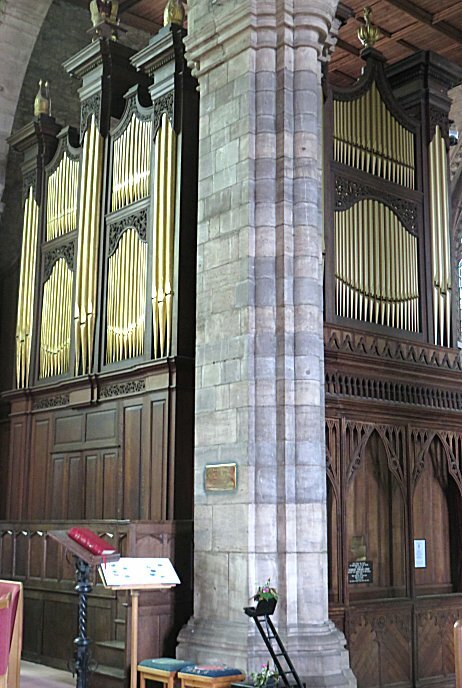 The present organ was built in 1924 to a design by Dr J C Bridge of Chester Cathedral, replacing an instrument dating from 1737, but contained within the case of that earlier organ. In 1947 the organ was overhauled and the original console replaced by a new remote console situated in the second arch of the Norman south arcade. Even so, the balanced pedals for the Swell and Choir divisions are mechanically connected to their respective shutters via a 50-foot trench. Major work was last carried out in 1988, after which the reopening recital was given by Roy Massey, who has described the organ as "one of the grandest in the Midlands". 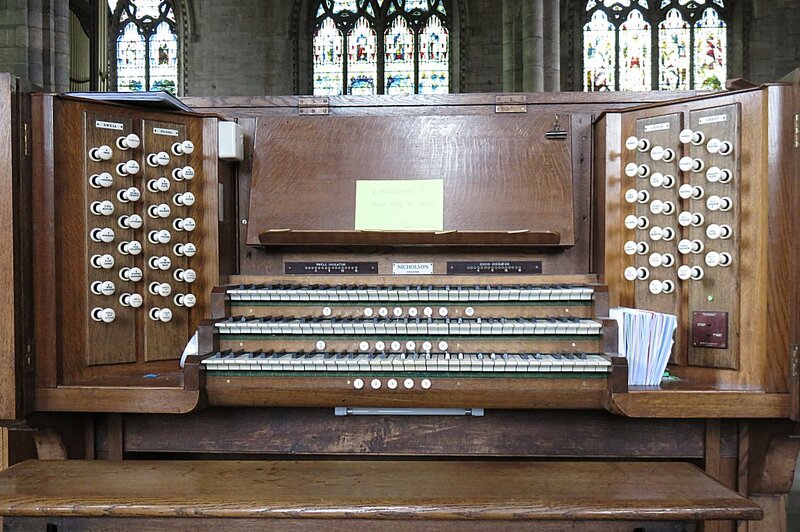 You can hear a Nicholson organ from the other side of the Welsh border as November 2018's Music of the Month.